PSL will provide hockey sticks* and goalie gear** (goalies must arrive early each week to put on gear). Shin guards, mouth guards and eye protection ARE REQUIRED by each player. Gloves, knee pads and protective cups are recommended. *Personal sticks may be used upon referee's approval: No wood blades permitted; Blades must have a smooth bottom. **Personal goalie gear may be used upon referee's approval; Goalie sticks must be similar to PSL issued sticks. 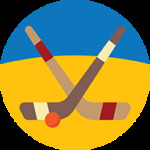 Check out this Floor Hockey league '19SPR2 - FLOOR HOCKEY COED - INDOOR 5v5 GYM - SOCIETY HILL (TUESDAYS)' with Philly Leagues!